Recently, I attended a conference where a young minister jokingly drew attention to his keen sense of GQ (hipster-business-casual) fashion — twice. 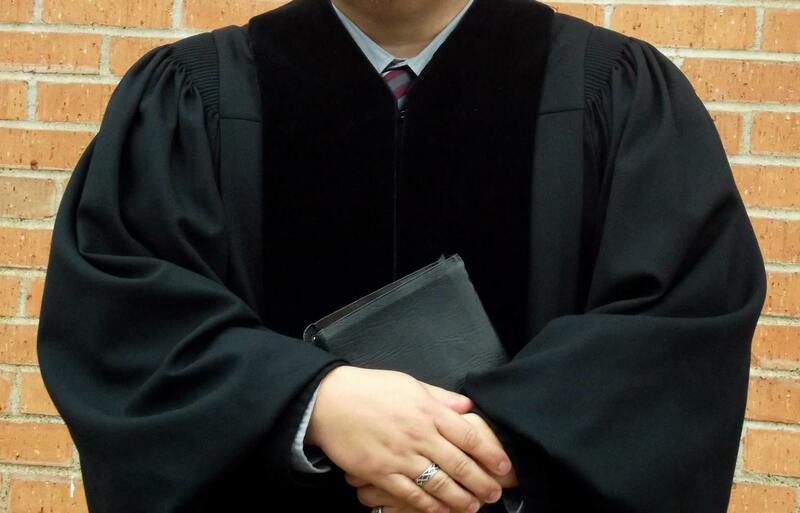 Not long ago a friend quipped that his pastor just seems to rotate the same two old coats and ties every other week. Back in the day, I once decided not to wear a coat and tie during a Sunday evening service. I had never been given a formal dress code, but the elders gently reminded me that the congregation expected their minister to “dress like a minister.” Stories like these could be multiplied. I mention these stories as examples to show that what ministers wear often (unnecessarily) grabs more attention than people even realize. In times past, ministers were careful to dress in ways that allowed them to be easily identified as servants of the Lord. That is why so many ministers wore collars out in the world and robes in worship. The overall purpose and goal was reverence toward God. Nowadays, many ministers claim to dress in ways that allow them to relate to their community. That is why they often take their wardrobe cues from the fashion industry. (In reality, they can only relate to sub-sets of their community by the way they dress.) The purpose and goal often seems to be relevance toward man. Since Christ Covenant Church joined the PCA (February 2016), Bo and I have visited several congregations within our presbytery to administer word and sacrament. We have noticed a beautiful spirit of unity in matters of substance (doctrine and theology), and a beautiful spirit of diversity in matters of style (music and attire). We have dressed business casual in some places and worn ministerial robes in others. Like colorful table-cloths, powerpoint, guitars, printed worship orders, and other things, ministerial robes are not required by the Word of God — nor the PCA Book of Church Order. However, like many other things, ministerial robes are simply permitted for our use and enjoyment as a gift of Christian liberty. That means it is right and good to use them — or not. All that to say, our Session would like for our ordained pastor to begin wearing a robe during the Lord’s day service starting November / December. Our licensed ministers may do so as well — if they so desire. We trust this will be(come) a welcome change that current and future members — as well as visitors — will appreciate going forward. To learn more about the reasons for robes, check out the resources below. In case you wonder what this looks like in real-life, fellow pastors in near-by sister congregations of various shapes and sizes wear pulpit robes every Lord’s day: New Saint Peter’s Presbyterian Church, New Covenant Presbyterian Church, Lakewood Presbyterian Church, Park Cities Presbyterian Church.